Click on the bars below to all the subdivisions in Sedalia. You can also view the most popular searches such as ranch style homes, new construction, homes with a pool or houses with mountain views. Click to see Local Subdivision and Complex Maps. What is Your Sedalia Home Worth? Sedalia boasts stunning beauty for its size. A fairly small town, Sedalia has a friendly small-town atmosphere while situated within the convenience of Douglas County. Sedalia’s natural wonders draw people in, and the easygoing atmosphere and affordable homes keep its residents happy. In Sedalia, you’ll have ample opportunity for adventures on your doorstep, as well as enjoying equally friendly neighbors, and, of course, a gorgeous affordable home. From the gated opulence of Rainbow Falls Estate to the rolling hills of Perry Pines, there’s a place in Sedalia for you. Lux-ury subdivisions like Bear Canyon Ranch and Elk Ridge Estates elevate your everyday life to something spectacular, and for those who are seeking an equestrian friendly lifestyle, there is no better place than Sedalia; Christy Ridge, Indian Creek Ranch, and Lambert Ranch are all de-signed for the equestrian lifestyle, and the previously mentioned Perry Pines is zoned for horses with five- to eight-acre lots. 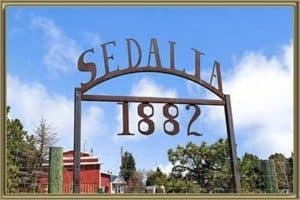 Sedalia is south of Denver and steeped in frontier history. This town has retained all of its historic charm, with buildings, shopping, dining, and other attractions that fit into the frontier feel. One of the biggest draws of Sedalia is its natural surroundings. If you are a friend of the Pike National Forest, Sedalia is an amazing home base. The Devil’s Head Lookout is an easy day hike within the forest and not too far from Sedalia. Roxborough State Park is also nearby, with 4000 acres of amazing geological wonders. If you’re more of a shopping fan, the Outlets at Castle Rock are a 10-minute drive from Sedalia, offering top-tier brands at affordable prices. And, of course, you are always close to urban Denver and its own metropolitan delights. Our Sedalia real estate agents know the area well, especially in Sedalia itself. From details of the active homes in the region to local community highlights, we can help make Sedalia your new home. Whether you are buying or selling, our Free Personalized Market Report gives you the information you need to make the most out of a Sedalia, CO, using real estate trends to inform your decisions. 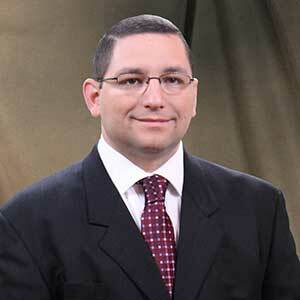 You can always call us at 305-325-5690 to talk to one of our Sedalia real estate agents. We’re well versed in Sedalia homes for sale and happy to share our knowledge with prospective buyers and sellers. See a list of attractions and things to do in Sedalia CO. When it comes to Sedalia, CO homes for sale, there is nobody who can do it better than Mike Lies and his team at Gold Compass Real Estate. Active in Denver and Foothills-area real estate for many years, the Gold Compass team knows all about real estate values and available properties in the region, so we can match you with the home and/or property that can turn your dreams into reality. We count Sedalia and surrounding area as our specialty and will do everything we can to situate you and your family in a gorgeous Colorado home. 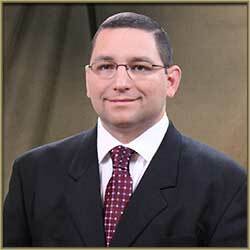 Our Sedalia real estate agents have the most up to date information and trends, whether you are buying or selling. We help make homes attractive to buyers and help match those buyers with the ideal homes in Sedalia and area. Our full market analysis is a helpful tool for both buyers and sellers, and we are pleased to guide our clients in any way possible. Contact us today at 305-325-5690.